The Object States define the different states of the Object life cycle. You must not create more than one Object States object in a collection since only one Object States object is used in the deployed configuration. The structure of the Object States object is defined as follows. On the Details tab, enter the default state to be used at creation time. See Specify Object state details. On the State tab, add the various states. See Specify Object states. 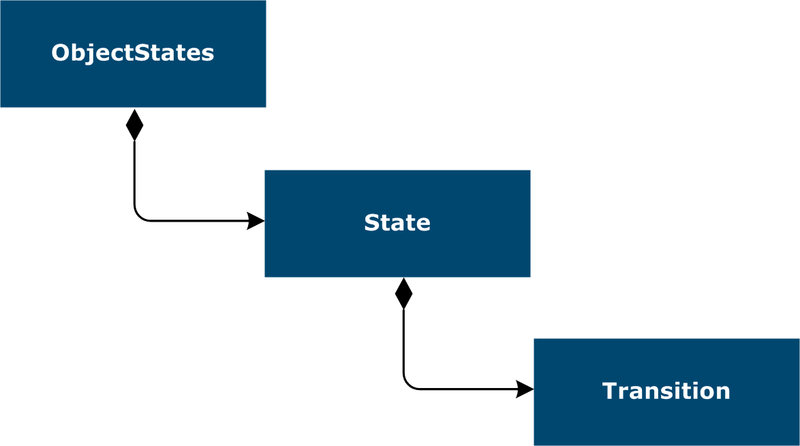 A state is defined by a name and a list of transitions to target states.